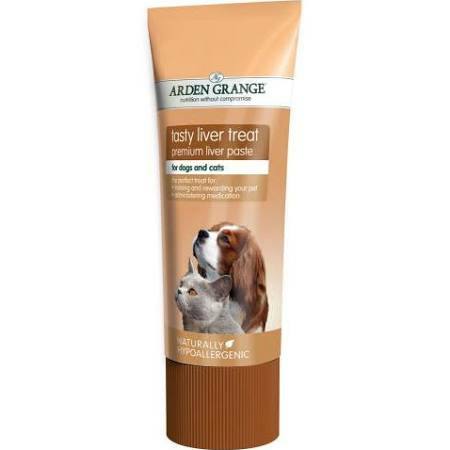 Arden Grange Liver Treat Paste is great for using as a snack or training treat for your dog. The paste comes in a clean tube making it easy to carry around. 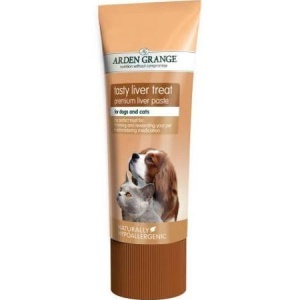 Arden Grange Liver Treat Paste is a healthy treat that your dog will love. The paste can also be spread inside various toys and games which is great for stimulating your dog when bored or hungry. It contains no artificial colours, flavours or preservatives. Large dogs - up to 1/2 tube per day. Pork pork liver (35%); sunflower oil; pork fat; dried mixed vegetables; gelatine and parsley.